You work hard to create the best blog post possible. You’ve done the research, shared from your heart and made very practical suggestions readers can use to make progress. At first, things go well. But then, suddenly … nothing. No clicks, shares or love. Will you be consigned to creating new content every day for the rest of your life? And WHY are people not loving your older content? They are not seeing it. And today’s video addresses easy and proven ways to solve that problem. All who blog face this challenge. Most struggle with it and never find a solution. But not you! Today you are learning MANY ways to solve the problem and YES – at last! 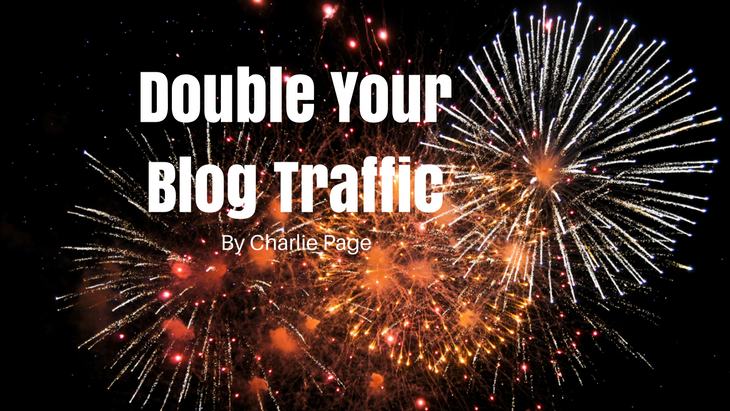 – DOUBLE your blog traffic without writing another word! Hi, this is Charlie Page. Today I want to share with you five tools that can double your blog traffic. Now, we all want more traffic, right? I mean, I do. Don’t you? More traffic means more sales. It means a bigger list. It means the chance to serve more people. These are all good things. The question is how do you do it. I’ve tried many things to try to get traffic, many have succeeded, many have failed. I’m sure you have the same story. One easy way that I have found to do this … It really did work for me. I’ve tried every tool we’re going to talk about. … was to leverage the content I already have. If you have content, here’s what I’m recommending. 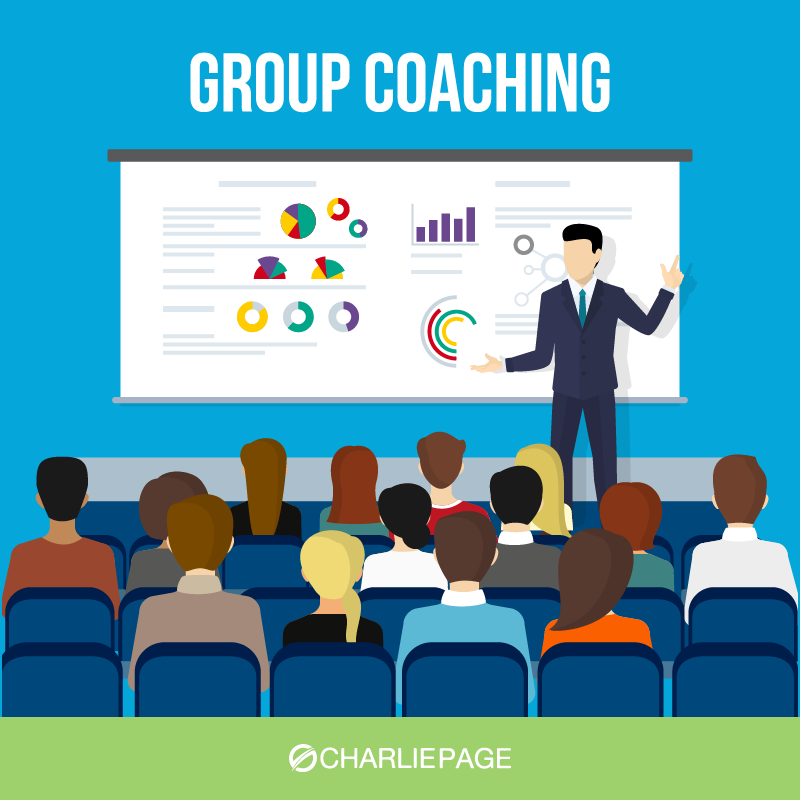 Leverage the content you already have, and you’ll need to create less. You see, most content is one and done. In other words, a person posts to their blog, and that post gets seen by a group of people. Maybe they send it out to their email lists, maybe it gets into an RSS feed, maybe it gets shared on social, or they post about it on social. Then it disappears into the archives. This is bad. This is really bad, but it happens. It happens a lot. In fact, 90% of bloggers that I’ve ever spoken with, don’t even know this problem exists. This must be avoided or your best content might never get seen. Since I’ve made this change, and started using the tools I’m talking to you about today, I’ve seen posts that I wrote four, and five years ago getting new comments, getting new traction, and getting new followers. It’s just a wonderful thing. The solution is simple. You republish your content using an automated tool. Now trying to do this manually just is difficult. I’m not going to say it’s impossible, because I don’t like to say anything negative. I’m going to say it’s a challenge. I really wouldn’t try to do this manually. There are five tools I want to share with you today that will help you do this. I’ve used them all as I said, and they work well. Yes, they really will bring you more traffic. They did for me. As new audiences see your content, your list can grow too. As your existing followers are reminded of your content that you’ve already shared, the great content you shared, your social media presence will grow, your sales can increase, mine did. Your traffic of people coming back to your blog is good. Now if you’re using remarketing, you’re going to love, love this. Tool number one is called Buffer. Buffer makes it very easy to schedule your social media posts, and it works with all our different social media accounts. You can use it as a Chrome plugin, an add on. That’s what I do is a Chrome add on. They also have a desktop app. They also have a site you can log in, and use. So it’s very, very easy. You just tie it in to your blog, and you’re good to go. It’s easy to set up. It’s very easy to set up. The people there are very helpful if you have any questions, and it runs automatically. So, that’s a beautiful thing. Tool number two, is called IFTTT. That stands If This Then That. That’s just a type of programming logic that they use as their name, really smart. What this site does is it sets up triggers. So it will post when something happens that is triggered. So you have to set up the trigger inside the site. They’re very helpful, and they’ll help you get that set up. Tool number three, is Zapier. You’ve probably heard of Zapier. If not, you should know about Zapier. It’s free to get started, which is a beautiful thing. I think you can have up to five zaps a month running for free, which is really good. I’ve never seen a site like this before connect so many different things together. I mean, I use this thing, and that thing, and the other thing like you probably do too. What it does is it ties them all together. For example, I will take a recording like this. I’m recording a video right now. I’ll take this video, and I’ll send it up to Rev.com for a transcript, and because of Zapier, Rev.com will take that transcript, and post it to my blog, and take that transcript, and put it on Google Drive. Hey by the way, totally free. So Zapier is very good if you don’t know about it. Incredible selection, and there is a free plan available. Tool number four is called Meet Edgar. This is a great site. These people are so helpful. They’ll help walk you right through it. It’s a very powerful piece of software. That is software as a service. You pay them a monthly fee. What they do is they repost your content for you to different social media accounts of yours, and things like that. They give you tremendous analytics. So what I like about Meet Edgar is it’s fully automated re-posting, which is good, and they have great analytics. What that means in plain english that you can see which of your posts are getting the most traction. Here’s the thing. You don’t want to just post once more. You want to post again, and again, and again. Now you don’t want to do that four times a day, it’s a little too much. They’ll look at your content, and recommend a schedule for you. Then you can publish on that schedule. That schedule’s designed to get maximum exposure. Because maximum exposure means more traffic. Remember, while there’s a fee for Meet Edgar, there’s no fee for re-posting. So you’re good to go there. All right, took number five is called CoSchedule. CoSchedule is very powerful. It’s a very professional grade tool. It is really a marketing calendar for everything you need. I know that’s our slogan. I’m reading it off the screen. They’ve done a good job of describing their service, because it really is. It can be our entire marketing calendar, which includes your blog posts, videos, solo ads, everything like that. You can work with teams in CoSchedule. I work by myself on my blog. I’m the only person who really posts on my blog. Although, other people help me do other things. So I don’t really work with a team, but I like CoSchedule because it allows me to just drag and drop posts around, and schedule them for republication or for first time publication very easily. Your entire publishing on one page with many options. There’s a little learning curve here, but it’s not bad. They do a great job of walking you through it. This is a plug in that works with your WordPress blog. So when you log into your WordPress blog, you see your schedule right there. Their support is available via chat right there in your blog. So they’re going to support you like crazy, and it’s a very, very powerful tool. The key is to choose one of these. Don’t try to use all five, because using all five is just going to get you at crossed purposes. It’s going to be time consuming, and you’re republishing too many times. Pick one of these. Take a look at their websites. Take a look at their pricing plans. Think about what it is you want. If you want to ask me a question, send me a question, and I’ll be happy to answer it. Leave a comment on this video, and I’ll answer your question. The key in my view is this. If I were advising you as a client, I would say, choose one. Use it for 60 days, and see what happens. Don’t try it for two weeks, try it for two months, and see what happens. Measure your traffic, and see what you get. You should see a lift in traffic almost immediately. I certainly did. Then even more traffic coming as the weeks go by. This works if you work it, and it’s very hard to do manually. There’s just really no better way than to use one of these automated tools. This is literally, and you hear this term a lot, but this is truly set it, and forget it. With these tools, you can say to them, republish this blog post every week for the next five years, and they’ll do it. It’s just fantastic. If you find this helpful, please share it. Hit the share button while it’s on your mind. I’d love for this to get out to more people, because I believe in blogging. I believe in content marketing, and I know these tools work. I know we all need more traffic, right? So this will help you. I appreciate you watching this. I hope you have a wonderful day. This is Charlie. Take care. Want more great ideas for increasing your blog traffic? Check out this fantastic post from First Site Guide! Oh WOW Charlie, just what I’ve been looking for now my site is set up. All I need now is to start learning how to handle one of these five nice little apps. I agree with Robert, keep on posting helpful information. Love it. I love automation “set-it-and-forget-It” I use Buffer to schedule my social media postings. This gives me more time to fellow-up with my members and new prospects to build relationship. Any recommendations based upon my Mastermind membership with you? I’m so glad you are enjoying the content! Feel free to put any of my YouTube videos on your site if you feel they will help your readers. Automation is perhaps the biggest advantage of the Internet. You really can do the work of several people if you set things up right. I’m preparing a report about this right now in fact. Please let me know if there is a specific way I can be of help.